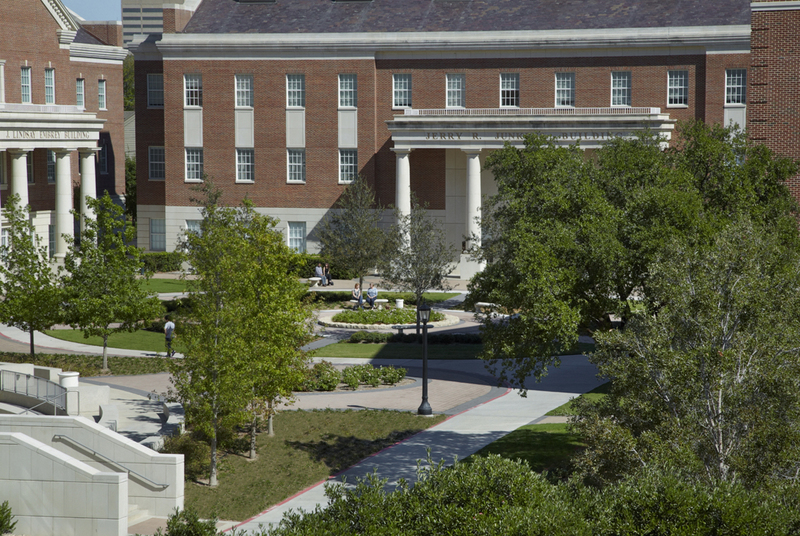 The Lyle Engineering Quadrangle at Southern Methodist University establishes a center and identity to a three building enclave. 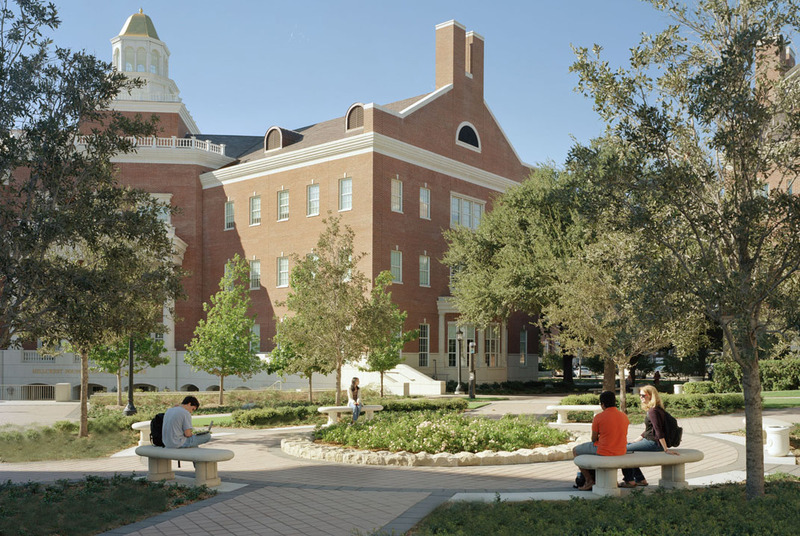 Spatially adjacent to the Centennial Quadrangle, the landscape merges the historical landscape of live oak allees and turf grass with arising sensibilities for sustainability. Flowering grasses substitute for groundcover and naturalizing shrubs for clipped hedges. Walkways provide double service for students and for emergency vehicle access.